A new medical breakthrough could have major implications for thousands of US women without a uterus. According to a Time report, the first living-donor womb transplant in the US was performed at Baylor University Medical Center in Dallas last month. The living-donor transplant was one of four surgeries performed on four different women with a condition called Mayer-Rokitansky-Küster-Hauser (MRKH) syndrome that caused them to be born without a uterus. About 1 in 4,500 women in the US are estimated to have the condition. The four women received uterus transplants from living donors between Sept. 14 and Sept. 22. Three of the transplants failed and were removed when tests determined the organs were not receiving normal blood flow. One woman, however, successfully accepted the donor’s uterus and has shown no signs of rejection. The successful transplant is a huge breakthrough to the MRKH community and others who want a normal pregnancy but do not have a uterus. This is the second time a US hospital has attempted the procedure. In February, the Cleveland Clinic performed a transplant from a deceased donor, but the recipient acquired an infection, and the transplant had to be removed. This isn’t the first time a living donor has been used in successful uterus transplants. 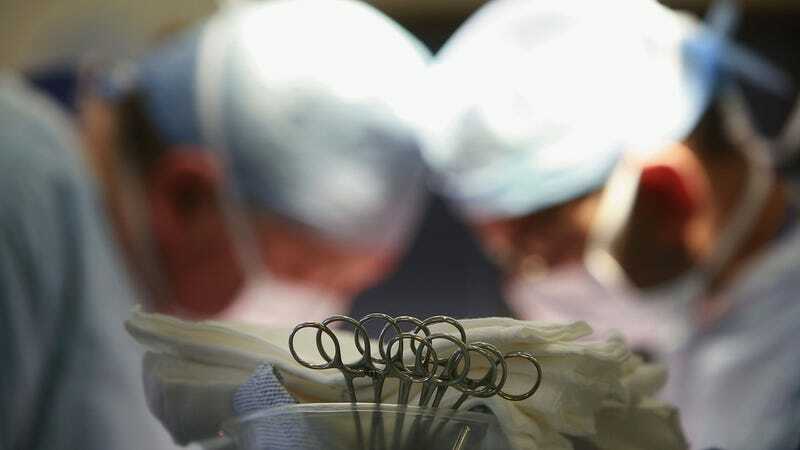 Surgeons at the University of Gothenburg in Sweden were the first to perform the procedure with a living donor in 2012 and have since performed the surgical procedure on nine women. Five successful births have resulted from the transplants. Members of the Swedish surgical team joined the Baylor team during this monumental procedure. The Swedish surgical team has also helped review the three unsuccessful transplants to determine what may have gone wrong. Baylor’s medical staff estimates it will take about three months for the women who received the surgery to get back to health and be able to perform normal daily activities. In six to twelve months, the patients can attempt pregnancy through in vitro fertilization. Baylor plans to attempt 10 womb transplants before the end of 2016. The team is monitoring and analyzing the first four surgeries before moving forward with the others.